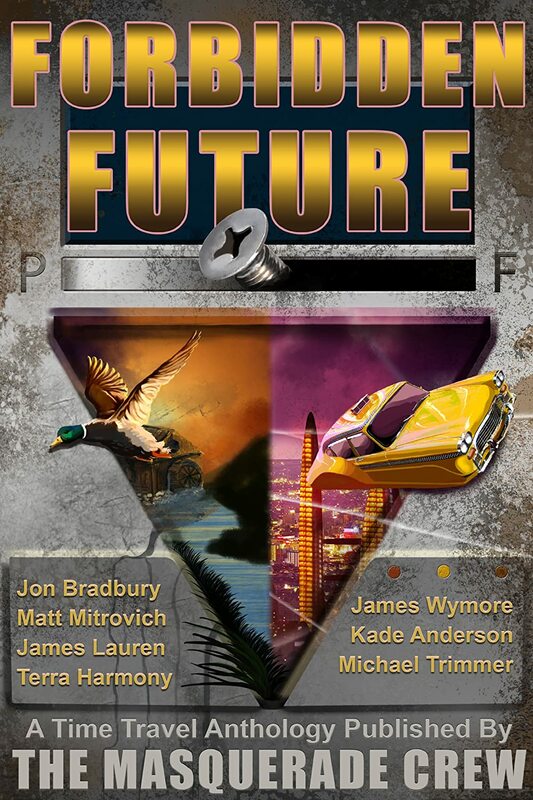 Yes, after more than a year of working on it off and on, I finally took the plunge and put our time travel anthology, Forbidden Future, on Amazon. Now the real work begins. At least for me. Though I've banged my head a few times, mostly because of my own disorganization, most of the work has been done by other people, and although there is still some work to be done by others, a lot of what happens next will be up to me. That may sound strange, but it's true. I don't really want any of my contacts to buy it right now. If you want to support us financially by buying a copy, there will be a time to do so, a time when your purchase will have more power than it does right now. Sure, we'll make a few dollars from it. Start racking up some royalties for the authors and editors, but it would be a single purchase that wouldn't have much effect on anyone else. There is a strategy to selling books on Amazon. Now, I can't say that I will do everything correctly. There will be some trial and error, but the point is right now is that I want you to wait to support us until a time when your purchase will take place alongside others who are purchasing. The power of the group is the only way to be noticed on Amazon. Reviews are the biggest thing we need before we start encouraging our family, friends, and other online contacts to start buying copies. Despite the fake review scandal that continues to rage, having a large quantity of book reviews will help encourage casual browsers to check us out and maybe give us a try. If a book hasn't been reviewed, why should anyone buy it? In other words, reviews still hold a lot of klout. Hard to be a best selling author (or publisher) without them. So, what we need right now is readers. And reviews. So, if you want a copy, it's yours. No charge. Please review it. If you choose to buy it later to support us, all the better. Do you see your Twitter handle? The form at the bottom of this post is the same one I used at the beginning of the summer, the last time I asked for interested parties to review our book. I checked my email, and I don't think I followed up with any of the few who signed up. Anyway, if you see your Twitter handle in the following list, you are already on my contact list and should be hearing from me soonish. No need to sign up again. Unless you just want to receive two emails. Just kidding.